My main issue with the story is mostly in the way in which it's presented. 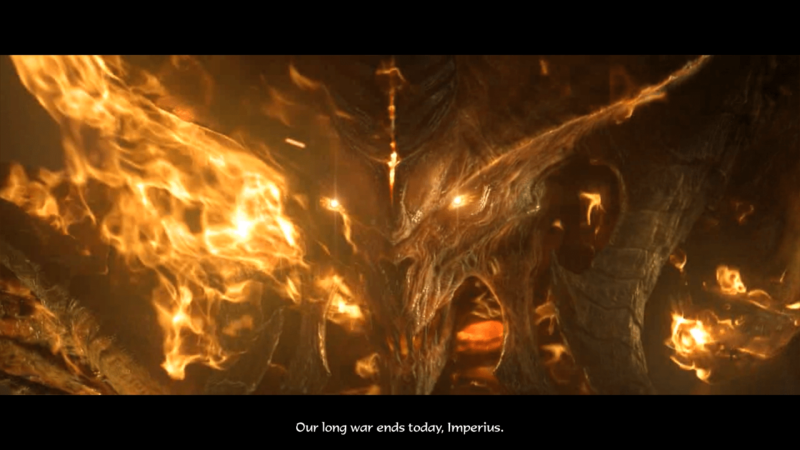 Diablo III adds full on in-engine cutscenes, but they're very, very limited in scope, with only the truly marvellous, but equally scarce CG cinematics providing any exposition that's actually fun to watch. It's also unfortunate that some of the truly interesting things about the plot and backstory are told through lore books which you pick up in the world. The problem here is that a lot of them are completely missable if you don't look for them, and when you do find them it can be hard to pay full attention to them, simply because you're trying to juggle taking in the well-written journals and lore books and fighting off a group of fifty angry skeletons. I feel it could've been handled a lot better, or simply stop beating around the bush and accept that most people probably don't play Diablo for the rich and interesting story. The larger focus on plot (from what I can gather anyway, as I said, I have very little experience with the previous games) is one of Diablo III's major shortcomings. Diablo's back! Who'd have thought? Not to mention that, particularly towards the end, the story is just flat out not very good. A lot of things simply aren't addressed or resolved, and the ending doesn't leave you with much closure. After betraying the group, Adria buggers off never to be heard from or mentioned again. Leah becomes the host for Diablo, essentially getting killed and losing her soul in the process, but after that, she is barely mentioned again. There's no real finality to any of the follower's backstories. As for the ending, you kill Diablo, evil is gone, yadda yadda, and that's it. The amount of sheer polish and love they've put into the entire rest of the game is a pretty jarring juxtaposition next to the frankly boring and uninteresting plot. Call me cynical, but the issues I have, I wouldn't be surprised to see them resolved in a future expansion pack. Quests involving confronting the Templar's order, meeting the Scoundrel's brother, the Enchantress's sisters, these are things I'd love too see. Just a shame we'll probably have to pay $40 for the privilege (or whatever the going rate for Blizzard expansions are). Story and DRM issues (which we had a lengthy talk about in the latest podcast) aside, Diablo III is still a fantastic game that's well worth playing, and one I hope to still be playing in a year from now. Also, my BattleTag is Jeo#2685, so feel free to add me, although I tend to either play alone or with friends. Comment by news, posted on June 2nd, 2012 at 10:57 pm. Is it okay to place a portion of this in my personal webpage if perhaps I submit a reference to this site? Comment by Jeo.me » On Diablo III: Reaper of Souls, posted on March 28th, 2014 at 9:15 pm.